After catching four passes for 57 yards in last Sunday’s loss to Detroit, it appeared as if wide receiver Jared Abbrederis was finally starting to emerge in the Green Bay Packers offense. But Abbrederis, whose 32-yard catch down the right sideline helped set up a Green Bay touchdown, left the game with what was described as a rib injury on the play. 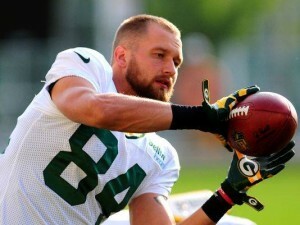 According to coach Mike McCarthy at his Wednesday press conference, Abbrederis will miss several weeks. It is the third significant injury for Abbrederis since he arrived in Green Bay. His entire rookie season was lost after suffering an A-C-L injury. Then the former Badger missed most of training camp this year with a concussion. Abbrederis wasn’t in the Packers locker room to speak with reporters today. On Monday, he declined to say whether he sustained broken ribs. Missing several weeks would suggest he has.